This is the first in a series of blogs that discuss the research-based strategies to increase student engagement and academic achievement. 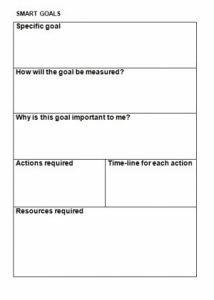 Of all the strategies on the Student Indicators of Engagement form, “Engages in setting learning goals” is the one most often misidentified in classroom observations. Many times we see the “Observed” box checked and the comment “Lesson objectives posted in class” written in the “Examples” box. The key to successfully identifying this indicator lies in the title of the form “Student Indicators of Engagement”. The learning goals observed must be generated by the individual students or the class as a whole. Easy for me to say. I’m not teaching a Kindergarten class or have 34 students in 9th grade English. Well, stop your eye rolling and give me a few minutes of your time to tell you why student goal setting is so essential to achievement and how it can be accomplished. Studies show that goal setting in general has a higher impact on motivation than praise or encouragement from an external source. 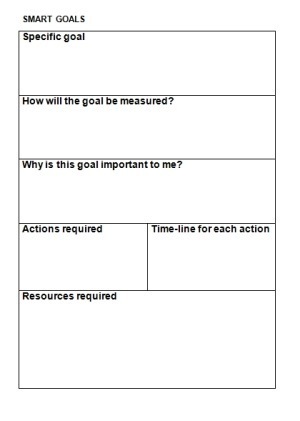 In an educational context, goal setting has been shown to have an effect size of .56 (Hattie, 2008), so we know that the use of this strategy will have a positive impact on student achievement. The question is why? So have I convinced you that taking the time to establish student goal setting protocols is worth the bang for the buck? I have? Great! 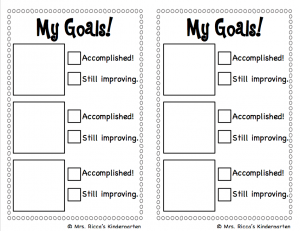 Let’s talk about how to set those goals regardless of the age of your students. 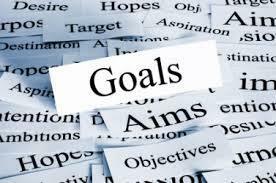 We’ve all heard of the acronym SMART in reference to goal setting. Writing SMART goals isn’t as easy as it seems at first, but with a little practice and tweaking students will be able to set their own goals for the school year, semester, unit or lesson. 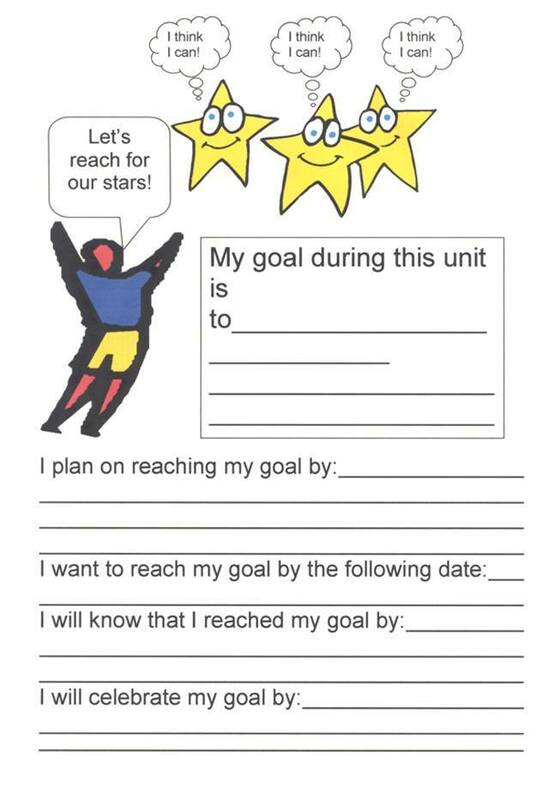 Students can set goals for themselves or the whole class and chart their progress over time using graphs, checklists, portfolios or journal entries. They key is having a plan to attain the goal and frequent checks on their progress towards achieving it. 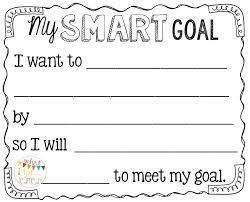 Once your students begin to set their own SMART goals you’ll be surprised at how good they get at tracking their progress and how motivated that are to reach their goals! This entry was posted in Student goal setting. Bookmark the permalink.